Atami: a renowned technical biological research bureau since 1997. Today, liquid plant nutrition, bio-stimulators, and substrates have become essential in the life of both the professional and the hobby grower. 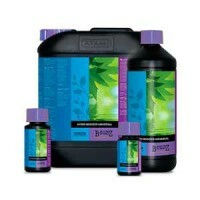 To meet this growing demand Atami BV has been busy since 1997 to compose the best for your crop. By continuously testing and improving its products, Atami can meet high quality standards. 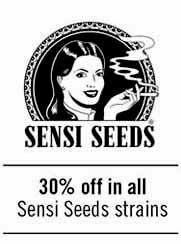 This quickly led to a wide selection for any method of growing. This wide choice did not go unnoticed, because soon Atami literally succeeded in conquering the world. With a large customer base spread over more than 40 countries in the world, you can truly call it a professional botanical research bureau. In this regard, the products of Atami are still sold worldwide and optimum breeding successes are obtained on many different continents. Atami products are of a pure quality and highly concentrated. This makes the products economical in use and optimally balanced. In that respect Atami products can be used for almost any crop. 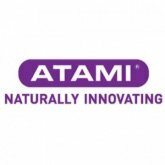 To be able to respond to the wishes of every grower, the Atami range can be subdivided into three different nutrition lines, namely B’cuzz, ATA and ATA Organics. The B’cuzz has been especially developed for the professional grower who is looking for an optimum return on his crop. 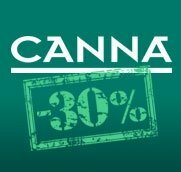 The ATA power has been composed for the grower who wants to grow as simply and easily as possible, but not at the expense of the quality of the harvest. 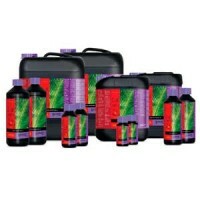 The ATA Organics products are a must for the organic grower. Organic farming is becoming increasingly popular and in this respect the ATA Organics nutrition line is just what the doctor ordered. The environmentally conscious grower who keeps a close eye on the taste and smell of the finished product has good use for it. The literal translation of Atami means: ‘Here I am’. In that respect Atami is to this day leading the field in plant nutrition and is continuously in development. B'cuzz Soil Nutrition A+B is a professional fertilizer for a complete cycle of plants. B'cuzz Soil A+B is a 2-part fertilizer that, once combined in nutrient solution, sources all needed nutrients for an explosive growth and bloom. 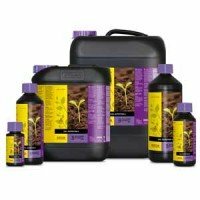 Soil Nutrition A+B nutrient are specifically developed for plants grown in soil, available in multiple sizes. B'cuzz Blossom Builder is a late flowering stimulator, that should be used along last 2-4 weeks of flowering and ripening. Blossom Builder B'cuzz improves flower's structure, increasing hardness, and enhancing ripening of fruits, that acquire more and better aroma. 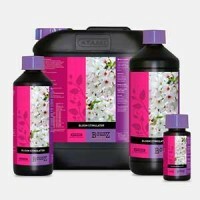 Blossom Builder Liquid can be used in all growing mediums: soil, coco and hydroponic systems. B'cuzz Soil Booster is a stimulator specifically developed to enhance growth of cannabis plants grown in soil. Atami Soil Booster acts in a positive way in micro organisms and benficial bacteria, what derives in a healthier and more vigorous growth. 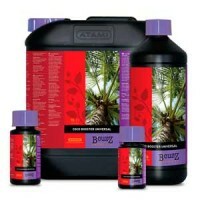 Atami Booster Coco is grouped in B'cuzz products for plants grown in coco. Booster Coco is a beneficial bacteria and micro nutrients blend, specifically developed to improve growth and bloom of plants. Booster Coco improves nutrient uptake and also helps preventing substrate's illnesses. B'cuzz Booster Hydro is a complex formuled with beneficial bacteria that improve bacterian life in hydroponic systems, in which there is a total lack of substrate. Booster Hydro Universal by Atami improves plant's adaptation to growing medium, and increases the root mass, deriving in plants with larger size, able to produce higher yields. Bloom Stimulator is a powerful bloom enhancer that brings increased yields to your harvest. 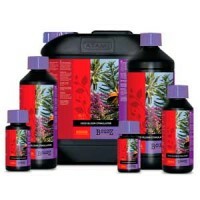 B'cuzz Bloom Stimulator, when combined with your base nutrients, increases density, size and weight of your flowers. Adding Bloom Stimulator from early stages of bloom you'll realize how it shortens internodal space, multiplying flowers all around the plant. 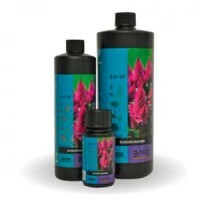 B'cuzz Coco Bloom Stimulator is a bloom enhancer specific for plants grown in coco. This Atami bud thicker should be used from early stages of flowering until flushing period, getting an increase of yields, density of flowers, and an improved resin production. Coco A+B is a 2-part fertilizer for plants grown in coco. 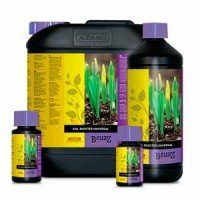 B'cuzz Coco Nutrition A+B by Atami feeds plants with all macro and micro nutrients needed for a vigorous growth and explosive bloom. Coco A+B is a high quality and concentrated fertilizer, that reaches great results along vegetative stage and also in flowering stage of plants. 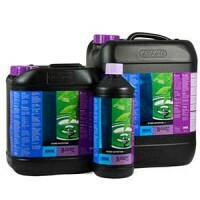 B'cuzz Hydro Nutrition A+B is a complete 2-part fertilizer, for plants grown in hydroponic systems. Atami Hydro A+B is a fertilizer formuled specifically to be used in hydroponic systems, which require an specific formula (to be used in constant water circulation). Hydro A+B should be mixed in water in equal parts A and B, being a concentrated product, that brings all needed nutrients for vegetative stage and flowering stage.